I had to take a forced break from writing this blog last year due to health reasons. I was struck down twice in 2009 by painful, humbling illnesses. A certain kind of clarity occurs when you’re in that much pain. It’s a clarity that can only come from an extreme life experience. It’s the stuff that changes you, pushes you to learn and grow. I finally emerged, triumphant, a little angry, with a broader perspective, more compassion, and ultimately a different person. The anger eventually subsided. When I started writing this blog I wanted to share experiences about virtually all of the services I regularly perform for clients. Then I wrote some reviews and observations, and wrote more about general business, until finally the focus on branding and marketing was all but gone. When I finally regained my full health, I began writing again, but with a whole new level of focus. At some point late last year, it occurred to me that I didn’t need to write about every business experience. I no longer had a desire to write critiques of lectures and other people’s work. There’s plenty of that out there already. I wanted to write something profoundly positive that would help people learn and grow. Yesterday, I launched a new blog aimed at inspiring people to think differently about their brands. It’s called Branding Revolution. I’ll be writing about small business branding, personal branding, brand development, how to find meaning in your brand, how your brand fits into your marketing, and a whole lot more. 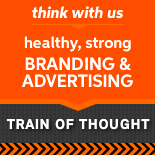 Every post will be focused squarely on brands and the process of branding. Current posts include a series on how to find a great graphic designer, personal branding, and more. Branding can be the most boring of topics if you think of it only in terms of business branding. For instance, a house-mom (or dad) would have little interest in branding. But personal branding is a whole different beast. Personal branding is, well, personal. It opens the doors to the experiences that shape us as people. When you start opening those doors and seeing what is behind them, it’s pretty fascinating stuff. It can be profound and life-changing. If you can’t tell, I’m super excited about Branding Revolution. I hope you will come over to the new blog to learn and share your experiences. Just as a brand is a constantly developing and evolving entity, so too is Branding Revolution. I will be chronicling the development of my own personal brand as an example. If you would like to be featured in a similar capacity, shoot me an email and tell me a bit about your story. I’ll still be posting articles here on KellyHobkirk.com too, yet this site is going to undergo a major redesign soon. The focus will narrow for sure. Keep your eyes peeled.